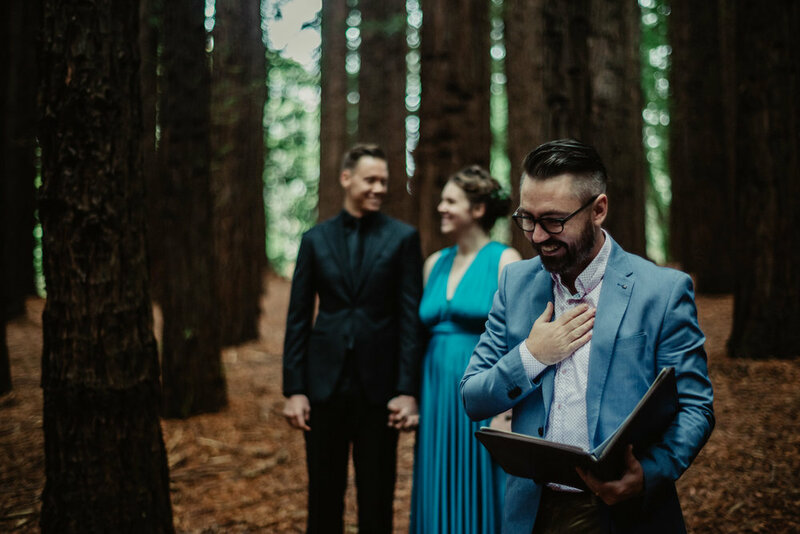 After losing patience with trying to plan a wedding to please everyone, Natalee and Ian eloped with five of their closest friends and me as their celebrant to the redwood forests of Warburton. The forest is a special place for them, and it was incredibly intimate marrying them beneath the trees with just their favourite people present. We did something different for our wedding and we wanted a celebrant with a fresh perspective. Anthony was charismatic, friendly, took the time to get to know us and told our story beautifully. Thank you for being a part of our day.